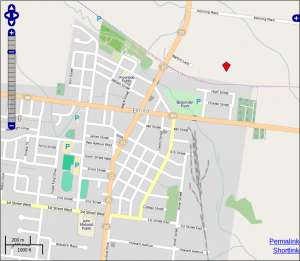 This blog is set up for those who are opposed to the location of the Proposed “Waste Disposal Facility” that Bio-En Inc. wants to build in Elmira, Ontario, Canada. The recent “Green Energy Act” has taken the power away from the Municipality of Woolwich to stop Bio-En Inc from building in this location, even though it clearly does not meet the land use as set out in the municipal bylaws. The Waste Disposal site, if approved by the Ministry of the Environment, will operate 24 hours a day, 7 days a week. it will accept waste materials from 6:00 am – 11:00 pm Monday through Saturday. All of these will be trucked through Elmira, some of it in trucks covered only with a tarp. Trucked past homes and through the downtown business corridor. Ordinarily there would be 20 trucks a day bringing waste to the site, and more than half that number hauling waste away. It is possible that there could be as many as 80 trucks a day hauling waste through town on their way to Bio-En Inc. The residents of Elmira have suffered enough from smelly noisy industries. If you live in Elmira this will affect you. PLEASE HELP US get this “Waste Disposal Site” located elsewhere where it will not harm local residents. The red marker on this Elmira map shows where they propose to build this waste disposal site. Note how extremely close it will be to residential areas, Bolender Park, primary schools and downtown Elmira. Also note that the only way the majority of the trucks carrying this waste, up to 80 a day, can access this site, is by Martins Lane via the MAIN intersection of Elmira. 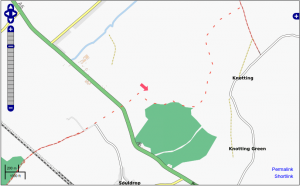 Biogas facility in England at the red marker, nowhere near residential properties. Note the access road off the main highway. This map shows is a large Biogas facility in England. Note it is nowhere near any concentration of residential properties and they built a special access road off the main highway to avoid transportation of waste through residential areas. If you don’t want this plant to be built so close to downtown and our primary schools; if you don’t want elmira’s streets clogged with noisy smelly trucks; if you don’t want to lose a big part of the value of your property, then we need to do something to prevent it. Let the people on the list below know what you think about this proposal and why you disagree with building a waste disposal site within the town of elmira. If you’ve already written to let them know, the residents of elmira thank you. If possible write another letter or email to them so they won’t forget where you stand. It’s going to take all of us working together to convince them that a facility such as this should be built in a rural setting where it can operate without causing grief to those around it.